If you ever use the predictive keyboard to type faster responses to people from your device, then you’re likely familiar with those ugly separator lines in between the suggested words and the unappealing difference in background color that the buttons have when compared with the rest of the keyboard. 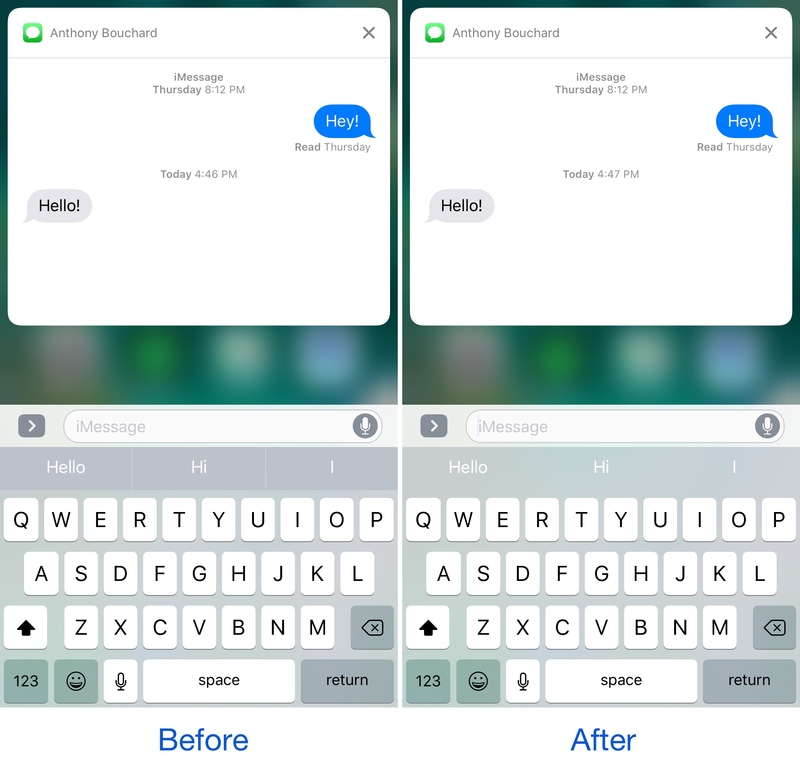 A new free jailbreak tweak called KB – NoPredictiveBackground by pxcex removes the background color and lines from the predictive keyboard buttons, leaving you with much cleaner-looking buttons. Whether or not you like the new look and feel comes down to personal preference, but I’ve never really liked the way the buttons looked compared to the rest of the keyboard on a stock device. As a result, I’ve always left the predictive keyboard turned off from the Keyboard settings on my device(s). For some, this isn’t as big of a deal. On the other hand, now that there’s a jailbreak tweak available to deal with this minor issue, you can make the predictive keyboard nicer whenever it appears as you’re typing. The tweak even compliments the visible blur effects when using iOS’ default Quick Reply functionality; it takes away that normally opaque-looking look and feel and makes everything transparent in perfect uniformity, as shown above. 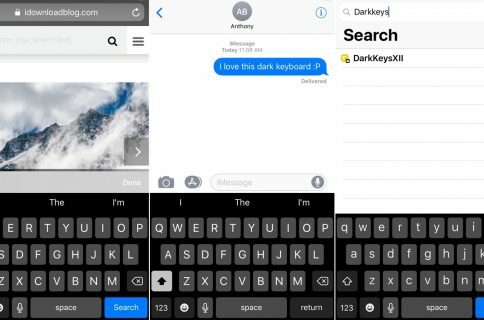 It’s worth noting that KB – NoPredictiveBackground is a systemwide tweak, so it will affect your keyboard everywhere in iOS, whether you’re in an app, on the Lock screen, on the Home screen, or anywhere else you can think of. 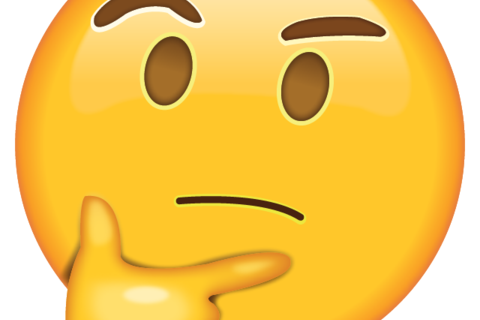 If you want to try KB – NoPredictiveBackground to see if you like the after effects, you can download it today for free from Cydia’s BigBoss repository. The tweak works on both jailbroken iOS 9 and iOS 10 devices. Do you prefer the look of the stock predictive keyboard or the look after installing KB – NoPredictiveBackground? Share your opinion in the comments below!